4th Class made structures using marshmallows and spaghetti. 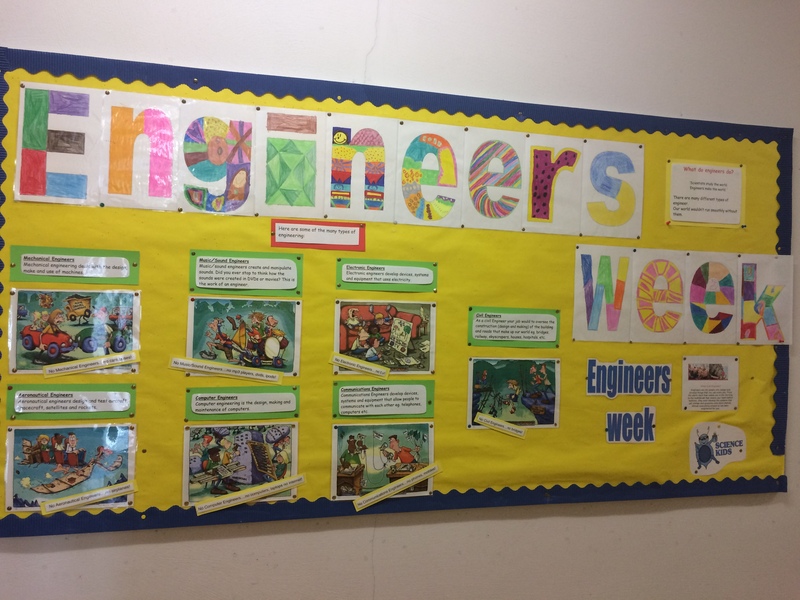 Senior Infants discussed the various types of engineers and the roles they perform. Great illustrations. 5th Class made brilliant bridges. As part of engineers week, 6th class interviewed a facade engineer- Anthony McCauley of Arup engineering, Dublin. They composed the questions themselves and conducted the interview via live e-mailing. The children came up with some very interesting questions and were surprised at some of the answers they got.